Rare is the laughter that exhausts you. 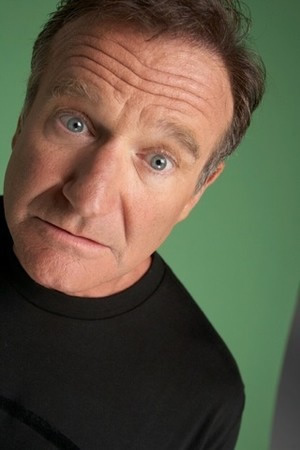 To see local legend Robin Williams perform live, as he did at the 142 Throckmorton Theatre twice this week, is to sit in a chair and laugh incessantly with 300 other people for nearly two hours, with nary a moment to catch your breath, or to wonder if he’ll ever pause to catch his. Over the course of the two shows this week, local notables like Sammy Hagar and Mort Sahl caught Williams’ act, and plenty of others have packed into the Tuesday night comedy series, Mark Pitta & Friends, in the hopes that Williams and a host of hilarious comics will make one of their occasional visits to the stage. A narrative report of Williams’ set inevitably will fall flat. Even in these intimate shows where he is trying out all sort of new material and half-baked ideas that he sends off to “premise prairie,” Williams’ stand-up act is a tour de force. So as he gets ready to head Down Under for a comedy tour, let’s cut right to it. “What a weird night,” Williams said at the conclusion, as if he wasn’t the ringleader of all that weirdness. “It’s been so strange. Whenever I come to the Throckmorton, I get to the end and I’m like, ‘What did we do? '” Laughed. Breathtakingly hard.